This is a story worth watching. Laura Lavine is the superintendent of the Lafayette School district, which operates with state funding the Onondaga Nation School. She is also the Republican Party candidate for mayor in the city of Syracuse. Lavine runs on the slogan that she is “Progressive, Professional, and Prepared,” and there is scarce mention of the Grand Old Party on her website. She has pledged to get tough on crime in the city, improve its schools, and improve the quality of life in Syracuse neighborhoods. She clearly attempts on her website to cast herself in a more open, welcoming, and tolerant manner than the national Republican party. From my perspective, it does not appear to be working. Onondagas have fought for this school. The Onondaga Nation has placed on its website this 1978 video highlighting some of the school’s history. The founding of the school is a central part of the story of the awakening of Onondaga activism beginning in the early 1970s. 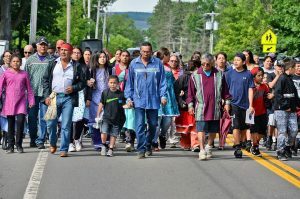 There have been Onondaga and non-native principals, and the relationship between the Nation School and the Lafayette school board has long been tense. Onondagas have boycotted the school before. They have debated intensely among themselves what they want the school to achieve. 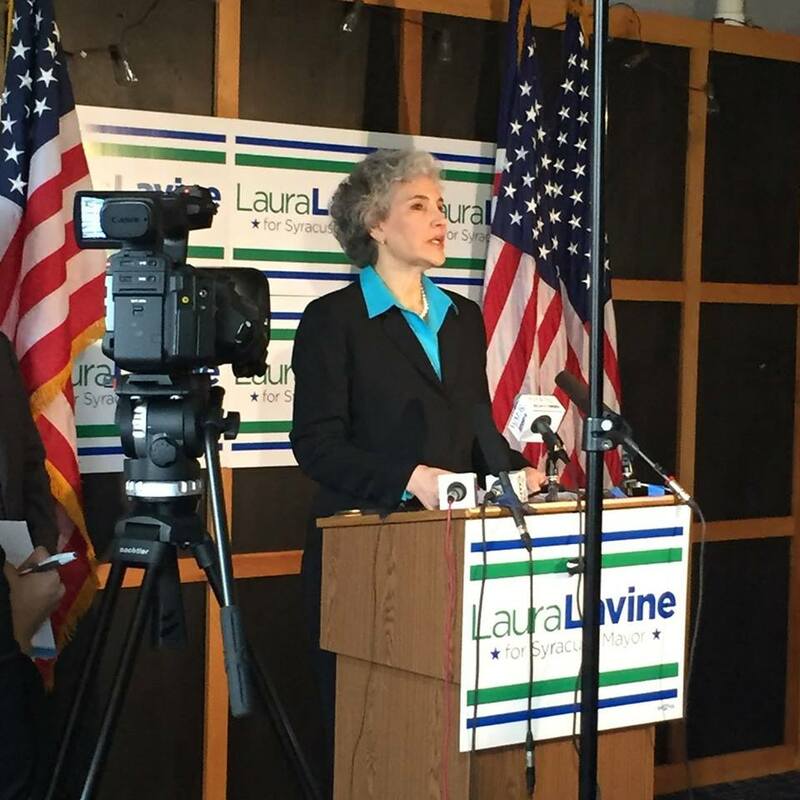 I have not watched Lavine’s candidacy closely, and I know little firsthand about the tone of politics in Syracuse. But I have been studying Native American history for a long time, and my next book will be a history of the Onondaga Nation. I have spent my free work time reading its history. When the current principal announced her retirement, the Nation hoped that the district would hire Simone Thornton, a teacher at the school with 20 years experience, an Onondaga, and a member of the community. Instead, the district hired Warren Smith, a vice-principal from nearby Fayetteville-Manlius who was not Onondaga. Smith ultimately turned down the job, but Lavine announced that the district would not hire Thornton, the clear preference of the Onondaga leadership. 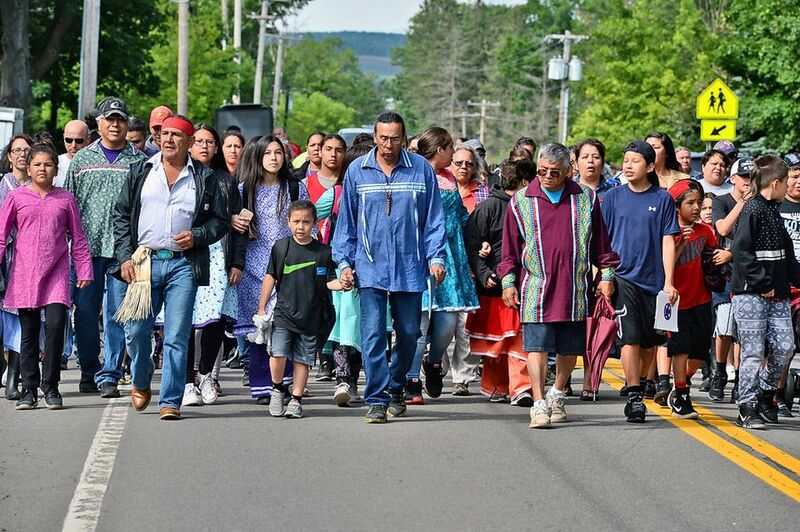 Onondaga Nation parents then withdrew their children from the school. If you have watched any of our politics over the past few years, you will likely note that race and racism and their consequences are at the center of our debates, and the Republican Party, in places, has enjoyed great success in stirring up white resentment to the “complaints” made by people of color. The language of race was woven through the Trump candidacy, and he skillfully deployed racist and anti-Semitic dog whistles to attract voters. White voters, in many places, it seems are tired of affirmative action, and important movements like Black Lives Matter, and the burgeoning Native Lives Matter movement I have written about on this website. Lavine, I suspect, was unlikely to have received many Democratic votes in Syracuse, but she certainly can shore up her base (and stir up the dingbats) by playing tough with the Onondagas. It is unfortunate, and it is ugly. But in our tense political climate, that a Republican Party candidate engaged in Indian-bashing is not surprising at all. It is up to Superintendent Lavine to explain her thinking and do the right thing. If she truly wants to run as a “progressive,” a word that seemingly has lost all meaning, she needs to think about the consequences of her actions. Laura Lavine was challenged about her decision to ignore the concerns of the Onondaga Nation at a mayoral forum on June 29, 2017. She replied that she could not discuss a personnel matter. No effort to defend her intransigence. Thanks for the contribution, Andy. Lavine has said nothing, but the school board recently released its reasoning behind its hiring decision. New York’s teacher credentialing process is at best labyrinthine, and I suppose it can be difficult to keep up with changing requirements regarding testing and the most current certification. But the school board clearly mishandled this, and I still suspect Lavine is trying to stand out from a crowded mayoral field by engaging in some anti-Indian politicking.